Discussion in 'Science Fiction & Fantasy' started by dodge, Dec 22, 2018. You know, I've got nothing in principle against reworking things from the original comics -- having Wild Dog and Mr. 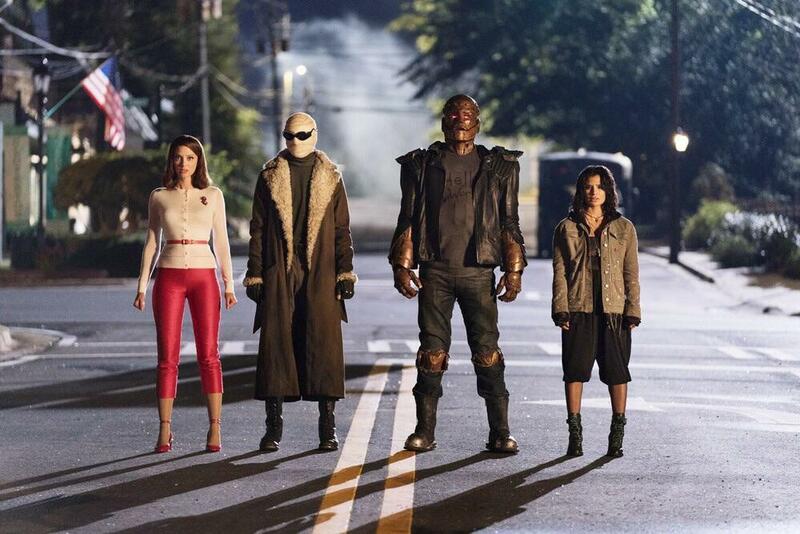 Terrific on Team Arrow has worked out great, for instance -- but having both Robotman and Cyborg in the Doom Patrol seems a little redundant. Well, they probably have a way to make it work, to play up their differences rather than their similarities. I would say it depends on whether they go with the first/original Cyborg origin; or the retcon that the Cyborg parts were born of Apokolips Mother/Father Box tech. If it's the latter, that would make Cyborg quite different. That would make him different on a technical level, but how is that relevant? What matters is character -- both as a general rule of good writing, and particularly with regards to a TV series, which has limited budget for FX and action and thus needs to prioritize character interaction. Cliff and Vic are both characters whose primary source of drama is their angst at no longer being fully human, at being stuck inside metallic bodies. From what I've seen of the rebooted Cyborg with the Mother Box tech, that's still just as much a part of his character, and his origin still involves a near-fatal accident, same as Cliff's does. To differentiate them, the show needs to make their personalities distinct, not just their technology. There has to be some sort of meaningful contrast so they can play off each other and make different contributions to the ensemble, rather than just being the same character twice. Something I might pick up on Blu-ray down the road. I have no interest in picking up yet another streaming service. Maybe the similarities between Cyborg and Robotman will be the point. Like a mentoring relationship. From what I've seen of the rebooted Cyborg with the Mother Box tech, that's still just as much a part of his character, and his origin still involves a near-fatal accident, same as Cliff's does. To differentiate them, the show needs to make their personalities distinct, not just their technology. Even so, there would have to be something to create a contrast between their personalities and the things they bring to the ensemble. I guess Cliff being the older veteran and Vic being younger and newer to his situation would be an obvious difference. I’m just annoyed I’ll have to wait several extra months for this to appear on Netflix Canada. Yeah, it would be nice if they made an arrangement similar to the one Discovery has for (almost) simultaneous worldwide distribution. If this version of Cyborg plays up Vic's connections to computers and the digital world over his physical strength--perhaps turning him into the brains, rather than the brawn, of the group then there would be some significant differences with Cliff. So, being Elasti-Girl, high heels in combat won't be a problem!? I think it is concerning there are no real trailers for the show. At least any that I could find. But yeah, it's really weird in this day and age not to have a proper trailer out. I posted that on this very page, but that's a 20 second teaser, by "proper" trailer I mean something in the at-least-a-minute-if-not-two range. Why do we even expect TV series to have movie-style trailers? I guess it's gotten more common these days, but it's not a given. There have been multiple short promos for Doom Patrol, which seems like a pretty normal TV promotional campaign to me. How about a 4:41 second trailer that goes into detail on everybody's origin's, including our first look at Alan Tudyk's Mr. Nobody. Wow, now that we've gotten a good look at this, I have to say, this looks great. ^Your link doesn't go to a trailer, just to Metacritic's home page. Oops, I must have hit the Metacritic bookmark on the toolbar. Fixed it. Just learned an interesting new bit of info I hadn't come across before, Doom Patrol is going to narrated by Mr. Nobody, the series's villain.